Can’t cope with the financial strain of a Netflix account any longer? Don’t even get started on trying to put up with iPlayer’s slow buffering… and half the shows aren’t even available. The University of Southampton have made a move to put an end to all of these student woes. 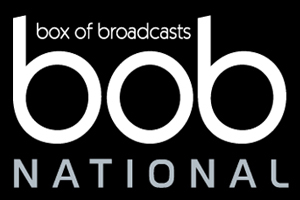 Now, using a university login, students and staff can access BoB (Box of Broadcasts) National, an online television network that allows users to watch and record any broadcast program from over sixty channels (and radio channels too!). All programs recorded by users will be added automatically to the BoB archive, where they will remain forever for all other users to access. The best part? It’s free. The University have covered all the costs. The only price you might have to pay now is not having an excuse for watching the ‘fascinating’ archaeological documentary your lecturer suggested. On the upper hand, Film students can find masses of films on BoB, as channels like Film4 are included in the package, and films are already filling up the archive. The service is available on and off campus, and is compatible with PCs, phones and tablet devices – there’s literally no catch here. « Keep your University Email Account after you Graduate!